The Living Rainforest is run by the education charity Trust for Sustainable Living. We rely on our visitors and supporters to enable us to continue educate people about rainforests and how we can create a more sustainable future. You can donate online to make a vital difference to our education work as well as helping to ensure that the animals at The Living Rainforest receive the best care possible. You can also adopt an animal, or support one of our rainforest projects. Adopt an animal at the Living Rainforest today. 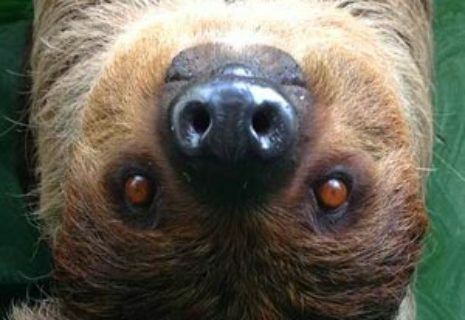 You can adopt Cinnamon the sloth, a Goeldi monkey and many more. Adoptions make great gifts, and include free entry so you can visit your adopted animal any time.